Shoreditch, the vibrant inner city district in the historic East End of London, is renowned as one of the city’s most distinctive and unusual areas. Filled with quirky Bohemian bars, restaurants and clubs, this area draws hundreds of independent-thinking, thrift shop clothed, bushy bearded hipsters from across the Big Smoke. 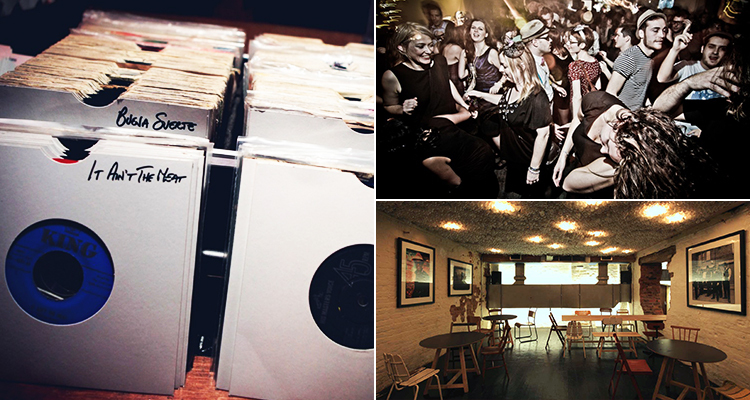 We’ve pulled together a collection of our all-time favourite Shoreditch haunts – here’s to partying like a hipster. Situated in the famous Hoxton Square, this quirky take on the traditional pub is an ideal destination to kick off your hipster bar crawl in Shoreditch. Uniquely kitted out with totem poles, crazy mismatched chairs and surfboards on the roof, this one’s sure to get you and the lads talking. Equipped with a snazzy smoking terrace overlooking the fantastic Hoxton Square, you and the boys can kick back and take in the authentic hipster atmosphere with a craft ale or two. Attracting all the cool young things from across the city, Zigfrid von Underbelly is spread across two floors, with the awesome food house and party space, Zigfrid upstairs and the underground club and live music concert venue, Underbelly downstairs. Make sure to check out who’s performing beforehand, in order to catch your favourites. 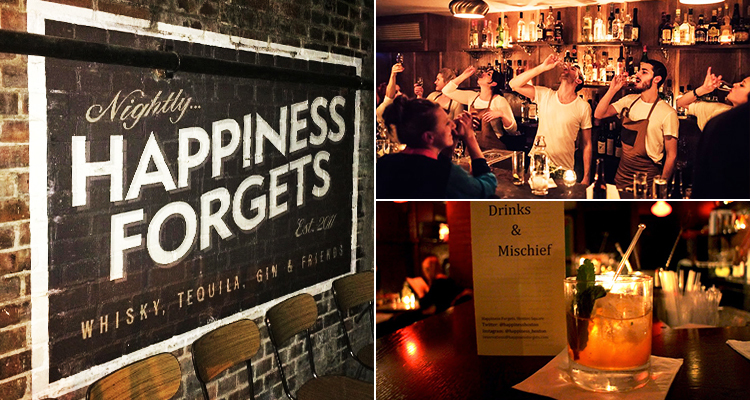 Wander down a discreet stairwell, and dive into the low-lit, hipster hub of Hoxton Square, Happiness Forgets. 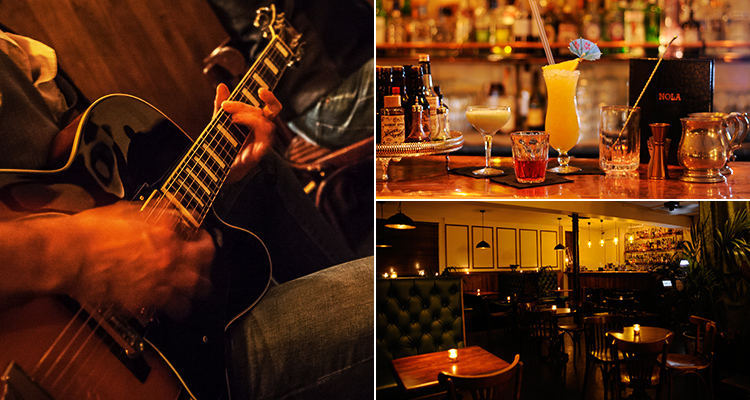 Small, yet cosy, this hip, speakeasy style bar serves up a huge range of cocktails shaken by only the best, professional mixologists – and is a perfect pit stop on any hipster Shoreditch crawl. With low lighting, quirky and comfortable furnishings and well-crafted drinks, it’s understandable why hundreds of hipsters flood to Happiness Forgets each weekend. 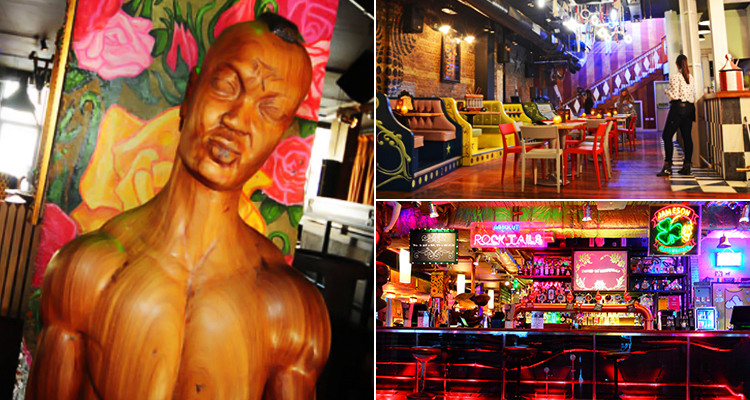 Here, you can indulge in speciality spirits and original cocktails - such as Perfect Storm, Ward Eight, Tantris Sidecar, or Eastside Fizz - as well as surrounding yourselves in 40s and 50s ‘rare groove’ music (a refined blend of obscure jazz, pop, jazz fusion, R&B and soul). This indulgent, speakeasy style, subterranean bar has vintage glamour down to a T – and is an absolute must stop on your Shoreditch bar crawl. A real jewel in the crown of Shoreditch, with plush, mysterious interiors and crazy cocktails, it’s no surprise why this stylish haunt draws in thousands of sophisticated hipster groups each year. 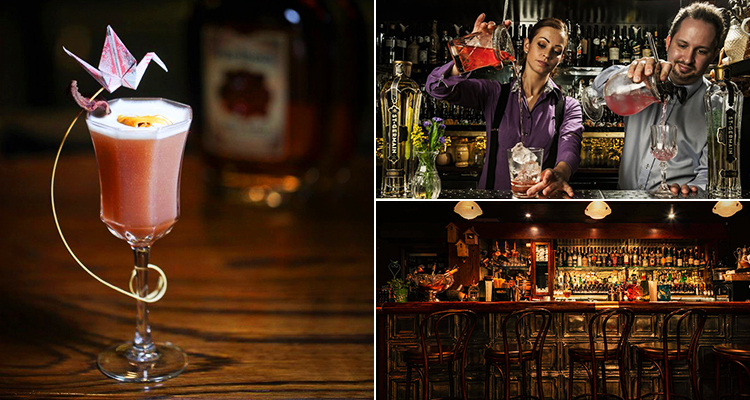 The Night Jar boasts a huge range of rare spirits, and exclusive, experimental cocktails, in different unique groups from different eras of history – from pre prohibition to post-war, you are guaranteed to find a tipple to tickle your fancy. Along with their immense drinks range, live music events are held on most nights of the year - you are sure to be more than entertained here. The first bar outside of North America to be awarded the ‘Seal of the Sazerec’, NOLA is kind of a big deal. The retro interiors are a unique blend of historic architecture and classic cocktail bars, which The Crescent City is famous for. Traditional, slow-moving fans line the ceilings, and a secret cigarette terrace and a herb garden await, all set to a backdrop of blues and jazz – a night here is sure to be unforgettable. Inspired by the culture and rich history of New Orleans, Louisiana, this gem is hidden within the Bohemian Bedroom Bars in Shoreditch. Bringing an authentic New Orleans vibe to the East End of London, NOLA is a breath of fresh air within London’s nightlife scene – so grab yourselves a tipple from the Hurricane menu, surround yourselves in Dixie Queens and immerse yourselves in the renowned ‘Big Easy’ hype. 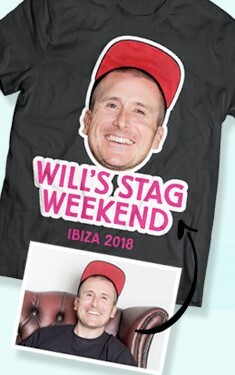 The ultimate culture vulture venue; packed with workshops, art, music and poetry by day, then transforming into an eccentric place to party by night. Rustling up delicious food all day, this is definitely the place to grab yourselves a bite to eat between partying on your hipster crawl around Shoreditch. Amidst the faux vintage interiors (including piped lighting, pot plants lining the walls and a ceiling completely filled with lightbulbs), you can even put your table tennis skills to the test, with the in-house recreational spot – featuring a full sized ping pong table and wall of bats (not of the mammal variety). Weekends in The Book Club are stepped up a notch, with club nights from local and national promoters featuring legendary DJs such as Scroobius Pip, Roots Manuva, DJ EZ, Craig Charles and Norman Jay. 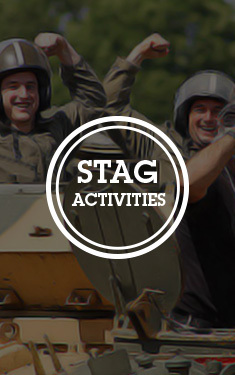 If you like the sound of celebrating in hipster Shoreditch, take a look at our stag party packages in East London.